I have been blessed with the AMAZING opportunity to go abroad to Italy in the spring semester. It is only 3 months away so I am planning ahead and trying to figure out what to buy. I do not have a lot of winter clothes or clothes that would not make me look "American" so I am trying to build my wardrobe. Hopefully you can help me! I will be asking questions on my blog and if you know the answer do not hesitate to give me your best answer. I will greatly appreciate it! Question 1: Is it true that Italian women often wear boots everywhere? I heard that Italian women LIVE in boots. I love boots, so I am allll for buying a pair or two to walk in around the awesome streets of Roma. If this is true that it is a part of Italian style to wear boots PLEASE let me know. Here is a polyvore clip with many nice pairs that I have found. All under $100. Yay! I don't know anything about European fashion but I do love me some boots. These are gorgeous! Thanks for the sweet sweet comment, lovely! I just did a new post too. 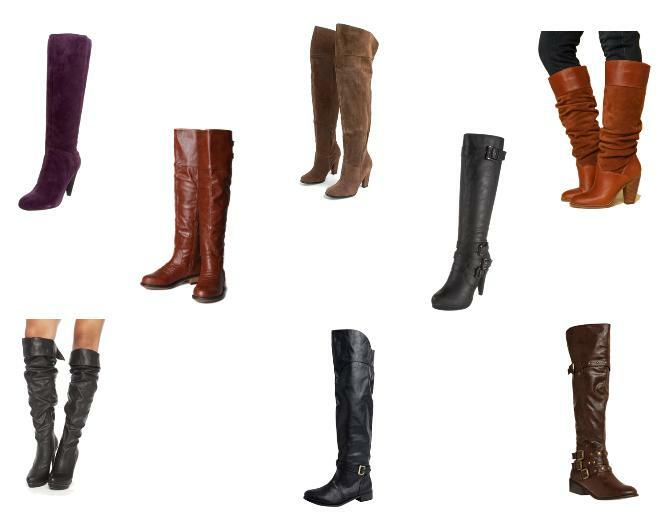 I <333333 those charlotte knee high boots! from what I hear about Italian women is that they dress to impress and always leave the house looking understated yet elegant. they wouldnt dream of being super casual like many Americans and wearing flip flops and such. as soon as the weather gets cooler, i live in my boots! great picks here. i know little about their fashion but i love boots! why don't i own these?!? !